When the weather starts to turn a little warmer, like it has here this last week, I start craving different kinds of foods. Instead of rich and creamy comfort foods and winter squashes, I start thinking about fresh and crisp veggies and lighter fare. Just don’t think that since spring and summer are coming you need to put away the slow cooker. 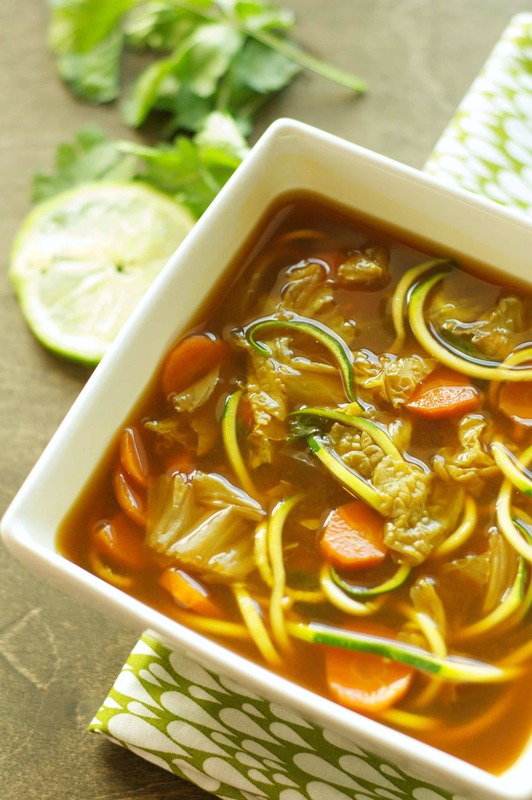 I have lots of great lighter dishes you can make any time of the year – like this Slow Cooker Miso Vegetable Zoodle Soup. 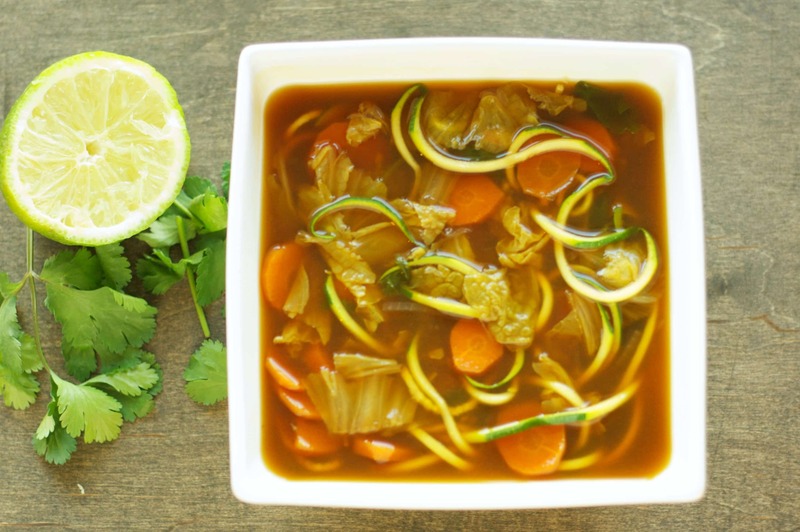 A different take on a traditional vegetable soup, this one uses carrots and napa cabbage and onions and zucchini all in a rich and fresh miso broth flavored with garlic and ginger. Really the beauty is that you can use any veggies you have or love. And more or less of any of them to your taste! to make noodles out of a zucchini. I’m completely obsessed. But if you don’t have one you can also julienne or cut into match sticks. Like I said this recipe is totally flexible. But if you like veggies you should think about a spiralizer. So easy and fun! 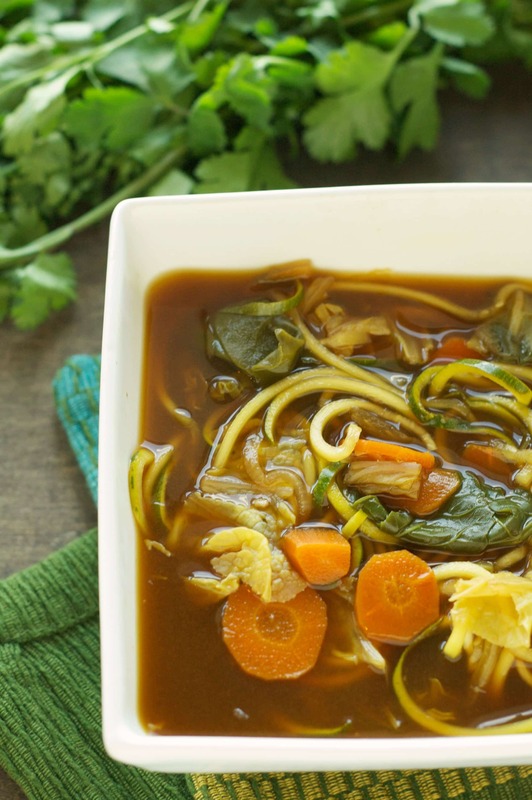 Enjoy this simple, healthy and delicious soup any night of the week or even for lunch! Just turned on my slow cooker for the day. But o noticed that in your commentary you said onions but they weren’t on the ingredient list. Eeek..: is my soup going to be lacking now?! Did you mean garlic? Oops! My mistake! I believe it should have 1/4 cup. 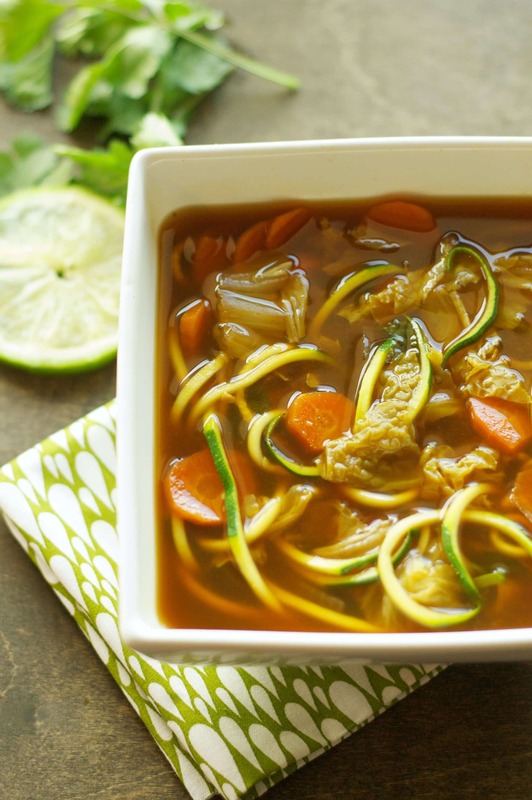 How did your soup turn out without it? 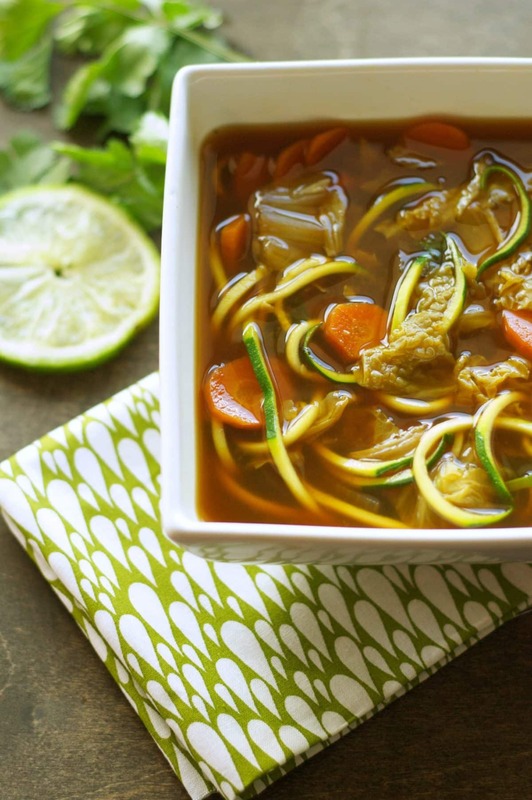 Have you ever made this soup on a stove? I’m just cooking for myself, so I would like to make a smaller version. I haven’t but it should work well. Just remember to simmer and don’t let it come to a hard boil. Simmer until carrots and cabbage are tender then add zucchini and greens and simmer for a few more minutes. The recipe sounds lovely! I would only recommend that you add in the miso just before serving time, to preserve the enzymes (which can be damaged by long cooking or boiling); rather than at the beginning. Thanks Sheri! That’s a great tip!